What's in the sack, Santa? 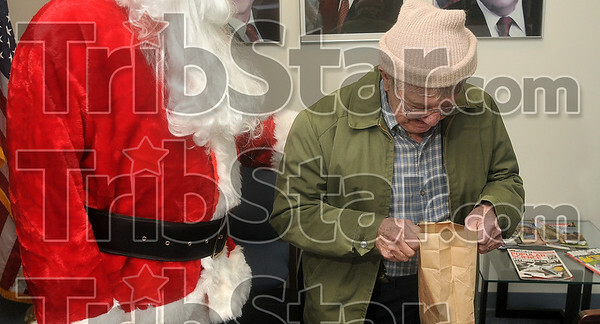 : U.S. Army veteran Dale Cox of Rosedale takes a peek in a gift bag from Santa Claus (a.k.a. Kmart manager Doug Ripberger) during his visit to the VA Outpatient Clinic Wednesday.